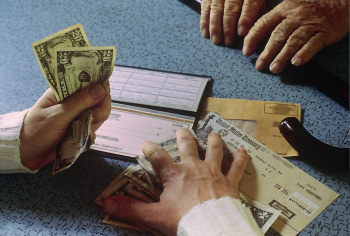 Financial exploitation is a widely spread form of nursing home abuse. It is a crime but it is not always reported. If you or a loved one is residing in a nursing home, make sure you fully understand nursing home residents’ financial rights and watch for warning signs such as caregivers taking money for gifts, discharge notices due to non-payment, changes in financial practices, unknown charges to credit cards or statements from unknown credit cards. If you suspect you or a loved one has been a victim of a financial abuse share your concern with the nursing home administrators and contact your Long-Term Care Ombudsman Program, your state licensing and certification agency, Adult Protective Services (APS) and your local law enforcement agency.